Application Maintenance and Support | Zing Technology - maintaining and improving your software applications. We maintain and improve your software applications. This includes applications that are no longer maintained by the original developer. 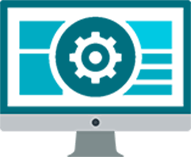 Zing undertakes a detailed review of your software deployment including reviewing current versions and bespoke components. 1. We maintain your existing software applications. 2. We enhance applications providing you with access to data you never had before. 3. We make these applications more robust and easier to use. ITIL aligns IT Service Management with the business needs of an organisation and offers a systematic approach to the delivery of quality IT services. It defines a detailed description of an organisation’s most important IT processes and includes checklists for tasks, procedures and responsibilities. Our senior support personnel are ITIL certified which underpins a structured and quality approach to service delivery. 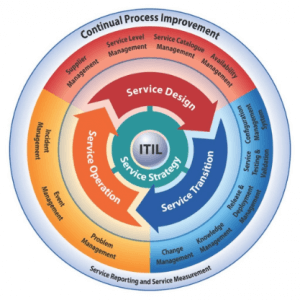 ITIL encourages a thorough “best in class” approach to delivering quality IT services. We advocate for an SLA-driven support and maintenance service for resolution of important issues which is underpinned by Service Level definitions. The severity of each issue is agreed based on the business and technical impact when the service call is logged. We have a 1-hour response time on all application support issues raised. Setup on our service desk software which is used to log and track all issues. Manned and managed service desk. Calls are logged by the service desk and allocated to the person responsible. Remote access to all production and test environments – typically provided by way of a secure VPN client.